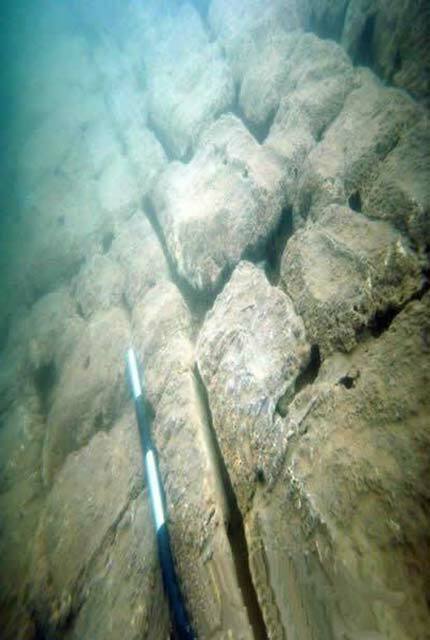 In an underwater investigation in Fuxian Lake, Yunnan Province, China, started on June 13, 2006, archeologists discovered remains of a group of huge ancient buildings at the bottom of the lake. The investigation team found numerous regularly placed stones featuring mysterious carvings. The discoveries proved that the magnificent architecture was built by civilized human beings, but cast doubt on experts’ previous suppositions. According to Life News (a Chinese newspaper), it was recorded in historical documents that a city named Yuyuan was established in the Fuxian Lake area in the Western Han Dynasty (206BC-24AD), but this city stopped in historical records after the Sui and Tang Dynasty (589-907AD). 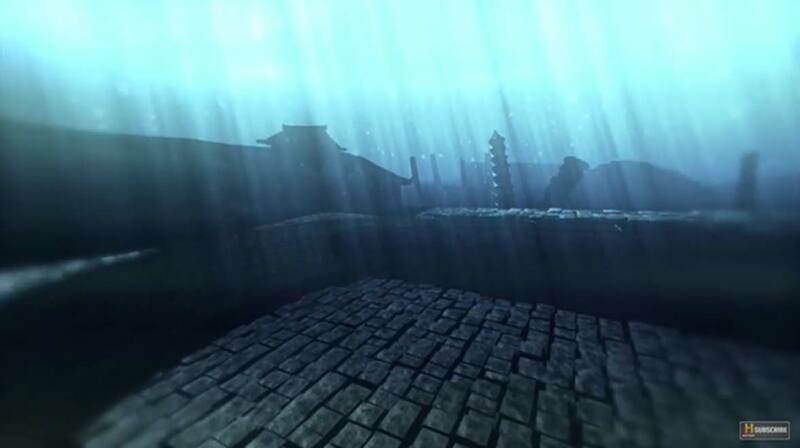 Local legend has it that Yuyuan City and its people sank to the bottom of Fuxian Lake. An earlier expedition into Fuxian Lake was done under the assumption that the ruins belonged to either the sunken city Yuyuan or the capital of the ancient Dian Kingdom. But the second expedition yielded evidence contradicting this assumption: the buildings were made of stone, while both the cities of Dian and Yuyuan were constructed largely from wood and clay. Sonar surveys have shown that the architecture complex at the bottom of Fuxian Lake covers approximately 2.4 square kilometers (10.8 million square feet), larger than the capital of the Han Dynasty. People cannot help but wonder why such a large city left no trace in historical records. In the remains under Fuxian Lake, one of the structures resembles a pyramid. This pyramid seems to be more advanced than the Egyptian pyramids, as the stones are ornamented with various designs and symbols. Amongst the many engraved stones, one stone has attracted particular attention. On the top right of the stone is carved a small circle surrounded by seven radial lines, resembling the Sun. On the left side of the stone is carved a similar circle, but with only four radial lines. According to experts, a Sun-shaped intaglio [type of carving] on a stone is very rare. Such suns with four radial lines were found on bronze drums from the Spring and Autumn Period (722-481BC). However, the symbol on the stone is believed to be even older than that–far more than 1,800 years old. The investigation team also found on the stones some carvings resembling masks. The flat cheeks and indented teeth of the masks do not match the facial characteristics of human beings. Other marks found at the site include “0” and “1” signs and seven holes carved in a neat design in the stones. Some simple line drawings were also found, one of which resembles a human face. On some other stones were carved signs looking like Roman numeral “1” and the English letter “y” arranged in a row. Experts admitted it is not yet possible to decipher these symbols. The article ‘ Enigmatic Carvings on Underwater Ruins in China Mystify Investigators ’ was originally published on The Epoch Times and has been republished with permission. What kind of stone is it? According to Egyptology, granite can be worked into shape with a precision of a thousanth of an inch using copper chisels, dolerite pounders, toothpicks, and dedication. Sarcasm aside, I'm interested to know what caused the submergence of these structures. Was the lake previously much smaller? How deep beneath the surface are we talking about? Where does the water that feeds the lake come from? Read more about Bronze Age Ship Found in the Mediterranean is World’s Oldest Shipwreck! Ancient Underwater Ruins Found off the Coast of Spain… Atlantis Again? Read more about Ancient Underwater Ruins Found off the Coast of Spain… Atlantis Again?